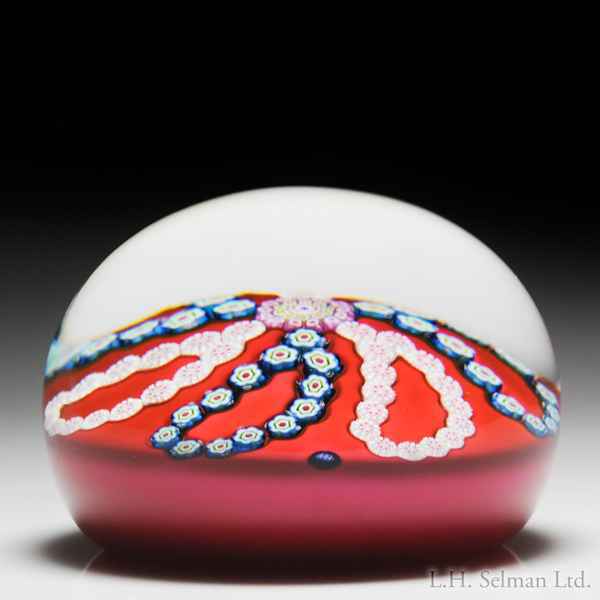 Saint Louis 1973 looped millefiori garlands on red ground paperweight. Six complex millefiori looped garlands, alternating between blue and white, propel themselves in a clockwise motion from their point of origin at a complex star cane center, on opaque red ground. Signature/date cane. Limited edition of 400. Diameter 3 3/16".